There are many things interesting about living in a place where others come for a vacation. I can always tell it is high season by simply going to the Coop, the supermarket of the village and seeing the usually bare shelves so full, they are almost over flowing. When going to by beans, salt and vinegar chips and sliced bread, I often come to find they are all gone. I am usually one of the only one who buys these things, and I usually get them 50% off because of it. What I do love about high season here in Champery are things like the petite train that runs free of charge, and can take you from around the village to the top of each side of the mountain. Also, just the plain fact of meeting new and interesting people, getting to share with them my home village for the last 6 years and making sure they have a relaxing time. 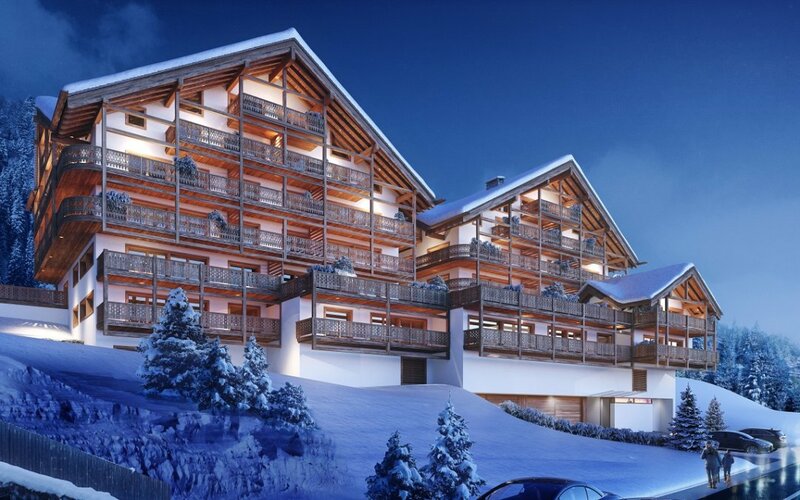 In the near future we will have Le Montagnier, right in the heart of the village. This gorgeous building will consist of 25 spacious apartments, finished to the highest of the Swiss standards designed by an award-winning architect. Filled with luxuries such as views of our stunning dents du midi, waterfalls, large balconies and some even with private hot tubs, what more can you ask for? Maybe one day I will have to move out of this village just to have a reason to rent out a gorgeous space and enjoy this quaint yet buzzing local gem in the Swiss Alps myself. Until then, come visit us so I can make sure you have a pleasant postcard vacation here in Champery.